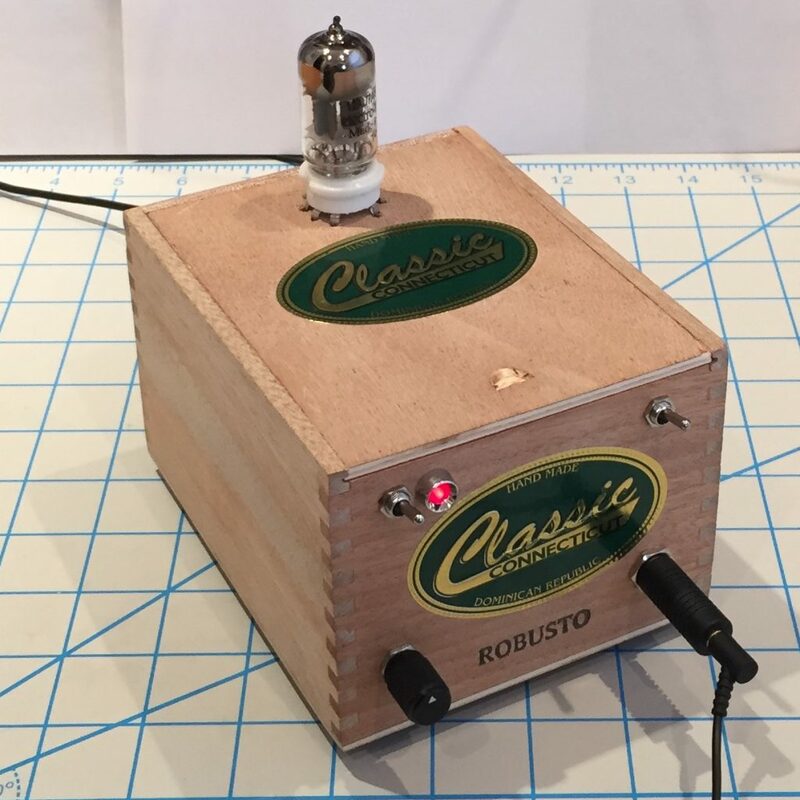 The Robusto is a hybrid tube/solid state headphone amp, built into a little cigar box. It is Rogers Gomez’s popular NP-100v12 amp, with little in the way of upgrades, beyond the slick enclosure. For more information about this build, refer to this short series of posts. For details about the amplifier circuit, check out Rogers’ post on DIY Audio Projects. That site has a ton of troubleshooting information as well, it’s a great resource.